As a testament to Kia craftsmanship, two of the automaker’s products have earned top rankings in the 2018 APEAL Study hosted by J.D. Power. The models in question are none other than the redesigned Kia Rio and the all-new Kia Stinger. Taking the prime positions for their respective segments, these award-winners demonstrate the value of driving a Kia. What is the J.D. Power APEAL Study? J.D. Power is a leader in global marketing information services. For the auto industry, the company measures the overall satisfaction owners feel for select products. More specifically, the APEAL study—which stands for “Automotive Performance, Execution, and Layout”—looks at how well a vehicle holds up after 90 days of ownership. The results are based on issues reported over this duration and is divided into 10 categories including: efficiency, powertrain, driving dynamics, visibility, storage, exterior, interior, seating, heating and ventilation, and audio. Taking how the APEAL study derives at its conclusion, the double win for Kia is therefore deserving of praise. In fact, this achievement increased the brand’s overall score by as much as eight points in comparison to the previous year. Furthermore, the Kia Rio and Kia Stinger which ranked above their peers in the subcompact and fastback sports sedan, secured the manufacturer a place among the 10 most desirable non-premium automakers. In other words, drivers who choose to buy or lease a new Kia model can certainly expect quality. Experience a Ride in a New Kia Vehicle Yourself! Want to see why so many consumers and critics speak highly of Kia products? Then you need to test one personally. 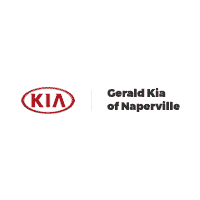 To do so, just head on over to Gerald Kia of Naperville. We will put you at the helm of your favorite new Kia for a test drive. Once you witness its impressive capability, no doubt, you will agree. Driving a Kia is a worthwhile experience.